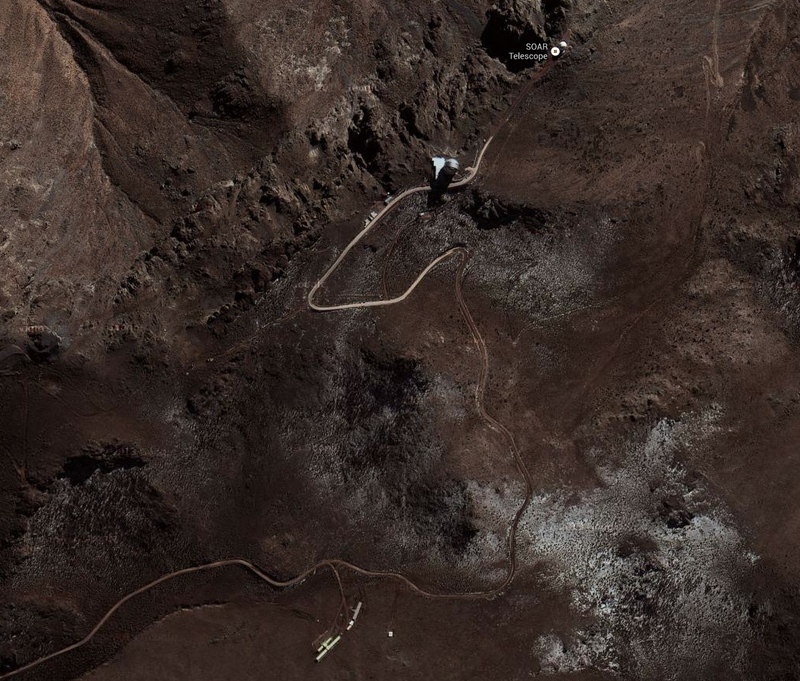 The Gemini South telescope is situated near the summit of Cerro Pachon in central Chile, at an altitude of 2722 m, at latitude -30:14:26.700 and longitude -70:44:12.096 in the WGS84 system. The Gemini North telescope is situated near the summit of Mauna Kea on the island of Hawaii, at an altitude of 4213 m, at latitude 19:49:25.7016 and longitude -155:28:08.616 in the WGS84 system, or at latitude 19:49:25.68521 and longitude -155:28:08.56831 in the NAD83 system (for a complete listing of Mauna Kea telescope coordinates on this system see here). 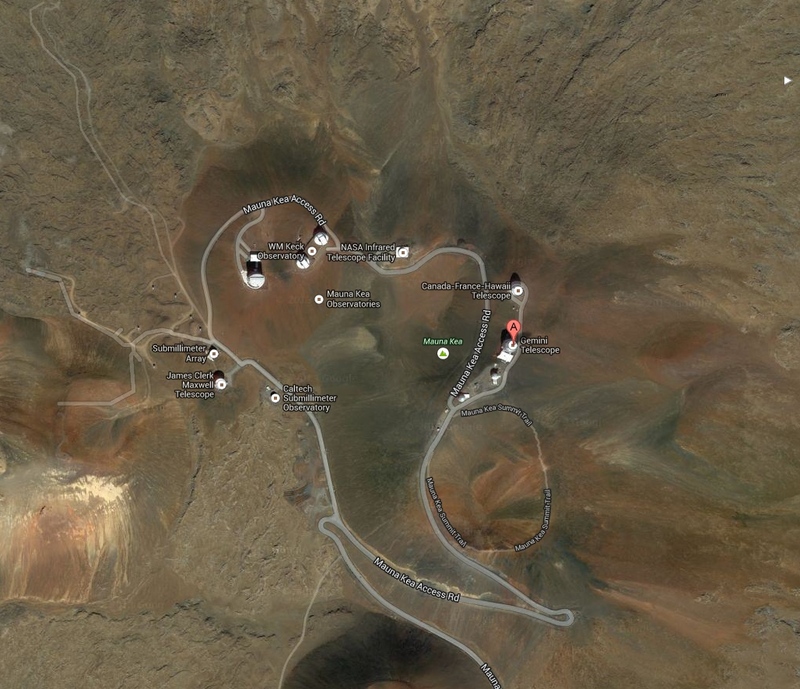 Google maps below show the telescope sites.